Ultimate Wedding Movies To Build Wedding Fever! Check out our top 5 wedding movies list to get you and your partner in the mood for that all important wedding day. This list has something for everyone, so break out the popcorn, ice cold Coca-Cola and snuggle up for a movie night or two. Even great for Hen night or Stag do hangover days! A true cult classic, one for both the guys and the girls to make us laugh out loud! Robbie Hart is singing the hits of the 1980s at weddings and other celebrations. He also can keep the party going in good spirit, he knows what to say and when to say it. Julia is a waitress at the events where Robbie performs. When both of them find someone to marry and prepare for their weddings, it becomes clear that they've chosen wrong partners. A real sweet one that the guys can put on for some bonus points! In this remake of the Spencer Tracy classic, George and Nina Banks are the parents of young soon-to-be-wed Annie. George is a nervous father unready to face the fact that his little girl is now a woman. The preparations for the extravagant wedding provide additional comic moments. This one is for the guys, in my opinion a really great lads comedy, but still enjoyed by the ladies out there! John Beckwith and Jeremy Grey, a pair of committed womanizers who sneak into weddings to take advantage of the romantic tinge in the air, find themselves at odds with one another when John meets and falls for Claire Cleary. A British classic to be thrown in at the top spot to get us locals in the mood for such truly English times! The film follows the fortunes of Charles and his friends as they wonder if they will ever find true love and marry. Charles thinks he's found "Miss Right" in Carrie, an American. This British subtle comedy revolves around Charlie, his friends and the four weddings and one funeral which they attend. 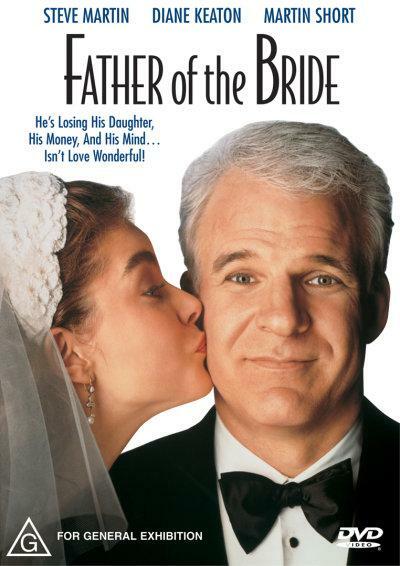 Check out the full IMDB Top 50 Wedding Movies of all time with this link!